Welcome to the 3rd Season of Ubiquity Soul Summer Series @ Military Park with DJ T-Wise. This summer sizzler is an outdoor event, free to the public, featuring a line-up of the most talented DJs in the area performing at the most happening park in the City of Newark. 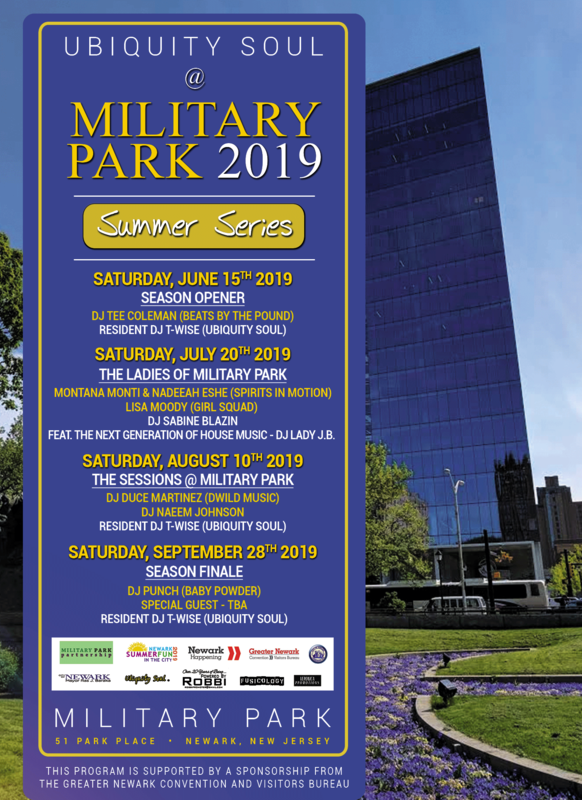 Come out with family and friends to dance on the areas largest outside wooden dance floor, listen to music on a renowned sound system, and enjoy one of the best house music events at the Historic Military Park in central downtown, Newark, NJ. Lawn chairs welcome. Carousel for the kids. House Music is #US Ubiquity Soul!